2. 2. ADB (2008). ADB’s adaptation program: poverty implications and emerging responses. June 2008. Regional and Sustainable Development Department. 4. 4. GMS Core Environment Program (ADB TA 6289) GMS Development Dialogue II: Climate Change in the GMS – 21 May 2008. 5. 5. IPCC (1996): Climate change 1995: The Science of Climate Change. Contribution of Working Group I to the Second Assessment Report of the Intergovernmental Panel on Climate Change [J.T. Houghton, L.G. Meira Filho, B.A. Callander, N. Harris, A. Kattenberg and K Maskell (eds. )], Cambridge University Press, Cambridge, 572 pp. 8. 8. Mekong River Commission (1997). 9. 9 Ministry of Agriculture and Rural Development of Vietnam (2002). United Nations Convention to combat desertification. Vietnam Action Programme to combat desertification. 10. Schaefer, Dirk (2003). Recent climate changes and possible impacts on agriculture in Vietnam with regard to the RRD. 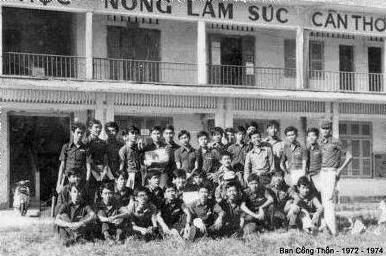 German Vietnam Seminar. Hanoi, October 27-30, 2003. 11.Snidvongs A, Choowaew S, Chinvanno S. (2003). Impact of Climate Change on Water and Wetland Resources in Mekong River Basin: Directions for Preparedness and Action. Southeast Asia START Regional Center Report No 12, 54pp. 12. Whetton, P. (1994). Constructing climate scenarios: the practice. In: Climate Impact Assessment Methods for Asia and the Pacific [Jakeman AT and AB Pittock (eds)]. Proceedings of a regional symposium, Australian International Development Assistance Bureau, 10-12 March 1993, Canberra, Australia, pp 21-27. 17. Workshop on impact of climate change on water and wetland resources in Mekong River Basin. IUCN, held in Bangkok on 25-26 November 2002.